Here are 38 best free image compressor software. These image compression software let you compress images easily. All these image compressor software are available free to download for your Windows PC. These software have various features, like: can compress simple JPG files or other image formats, can compress single image or multiple images in a batch mode, supports various input image formats including JPG, BMP, GIF, PNG, TIF etc., compress large images to small size without loosing the quality, some can convert images from one format to another, some can be integrated with Windows Explorer context menu, and more. You can try these free image compressor software right from this post and find the suitable one for you. You can try these best free Download Managers, Webcam Recorder and Startup Managers software. FileMinimizer Pictures is a free image compressor software that lets you compress images of various formats. You can add multiple images (batch process) to its list by clicking "Open Files" button. After clicking "Optimize Files" button you will get the desired results. You can overwrite or create new files by setting rename options when optimizing. You can reduce the size of images by using the standard compression setting or you can use the custom compression setting also. Supported image formats are: JPG, PNG, GIF, BMP, TIF, and EMF. 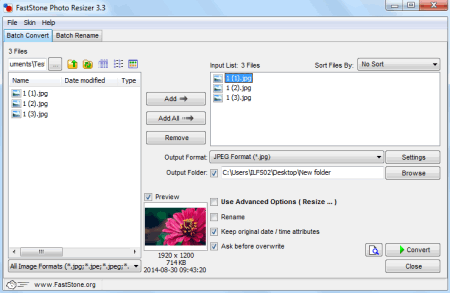 File Sizer is a free and easy to use multi-format compression tool for Windows. It lets you compress audio, video, and images easily. You can compress large size images to smaller size with the help of this software. 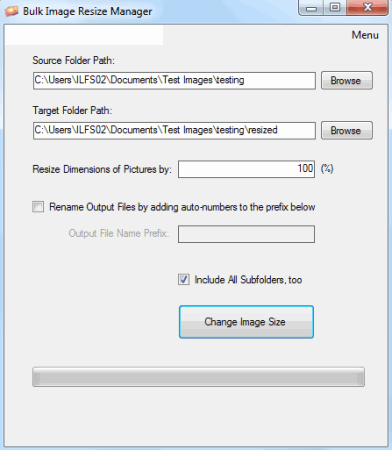 You can use drag and drop feature also to add and compress image files. It supports various common image file formats. 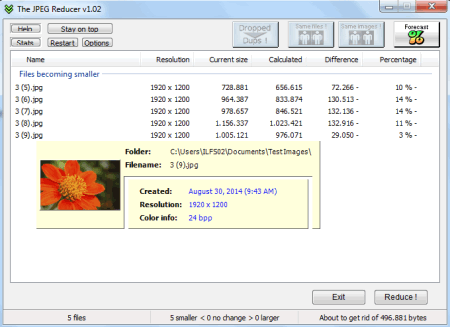 Pixillion Image Converter is a simple and easy to use photo compression tool for Windows. When you download pictures to your PC from your digital camera, they are of large size. To reduce the size of these images but not the quality you need an image compression software like this. It is free for personal use and you can use it to convert your images from one format to another easily. 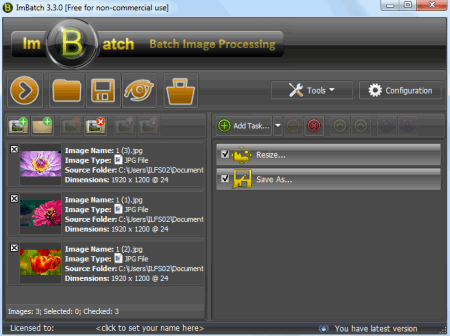 You can batch process the images also by using it. 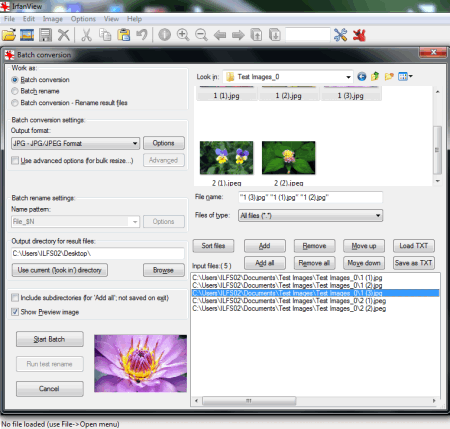 eezPix is a multipurpose image viewing and processing software. You can compress and reduce the size of the images without losing any quality. It has a wizard like interface and you can select and process multiple images in one go. You can batch process images, but in this free version there is a limit of maximum 10 images per time. You can do various other useful tasks of image processing with this free tool. Riot is a free image optimizer software for Windows. You can compress and reduce the size of large size images. It supports various image file formats including JPG, BMP, TIF, GIF, PNG, and many other RAW image formats. Supported output formats are: JPG, PNG, and GIF. You can preview the optimized image before compressing it to the desired format. You can rotate, flip, and resize your images also. 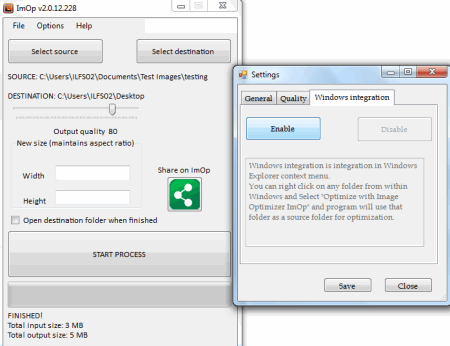 It can be integrated as plug-in with various programs like IrfanView, XnView, and GIMP. 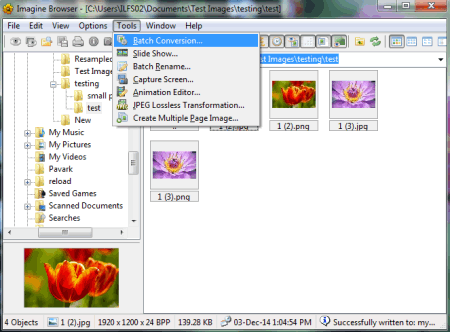 JPEG 2000 Compressor is a free image compressor software. 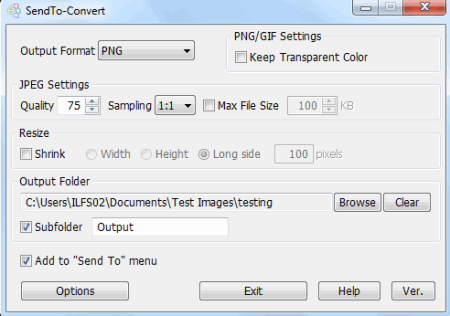 You can compress and convert your JPG, JPE, JPEG, or BMP images to JP2 format. You can set the quality by moving the slider. You can open multiple images at once and can compress them with same setting by clicking "Save All" button in one go. Voralent Antelope is a free image compression software. It lets you compress and reduce size of the images. You can drag and drop image files to its main window. Adjust the settings and click Optimize button to start the process. You can save the processed images in a different folder or use overwrite feature to save them in same location. It also comes in portable version. 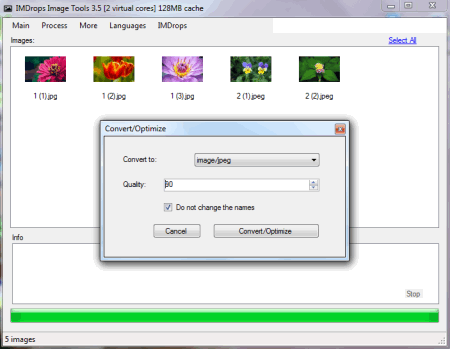 Caesium is a free image compressor software. It lets you compress or convert your images easily. 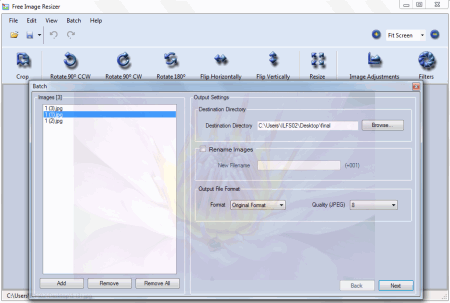 Supported input formats are: JPG, BMP, TIF, PNG, PPM, XBM, XPM etc. Supported output format for conversion purpose are JPG, PNG, and BMP, otherwise you can use the same input format as output format. You can set the quality and other options from its main window. It has a preview option also. 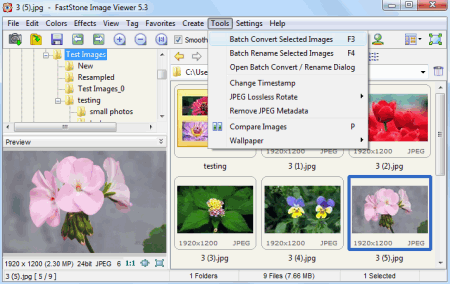 Mass Image Compressor is a batch program to compress multiple images simultaneously. You can set the compression quality in percentage and also the size. The output format is either JPG or PNG. You can save the compressed images to different folder or overwrite the original. The program is small in size and easy to use. One Simple Image Compressor is an easy to use and free software to compress various types of images. Supported input image formats are: JPG, GIF, BMP, and PNG. You can change the quality of the output before compressing (by default you can choose from 20% to 90% quality setting). You can save the processed images to the folder of your choice. You can also keep the original size or resize the output images. Just load the images by browsing and click "Process Batch" button to start the process. 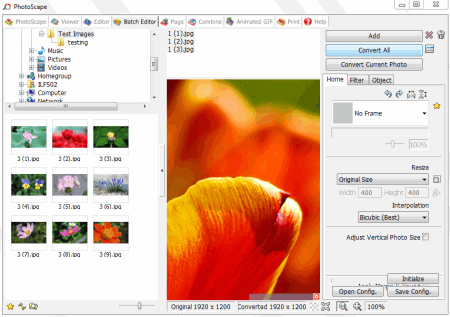 Image Compressor 2008 Free Edition lets you compress large images. You can use the default settings or change the setting according to your need for compressing pictures. You can compress images individually in this free version. Supports numerous types of input image formats but the compressed output format is JPG only. Compressed is a standalone program that lets you compress single or multiple images in any folder. You can set the quality of the output images and can also set the destination folder from its main interface. Supported formats are: JPG, BMP, and PNG. It comes as single executable file and does not require installation. The program is small in size (just 205 kb) and is easy to use. 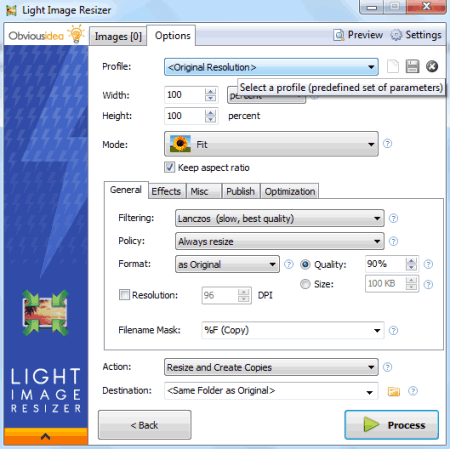 PhotoRazor is a small and easy to use picture compression software. 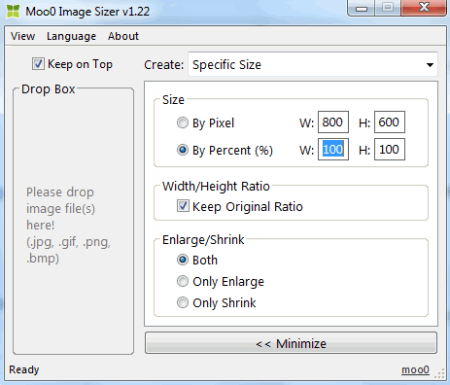 It lets you compress large size images to small size easily in three easy steps. Just choose the photos and set the size and quality of the output. Select the destination or use default folder and click "Resize Photos Now" button to start the process. You can rotate the pictures also by using it. JPEG Compressor is a free image compression software and it can be integrated to Windows Explorer to compress multiple images in one go. Simply right click on multiple images and click "Compress" from the context menu. You can run this program to compress a single file. It compresses, rename, and change the dimension of the output images. It changes the dimension of the images to 800 x 600 if they are originally larger than this ratio. The program has no configuration options. 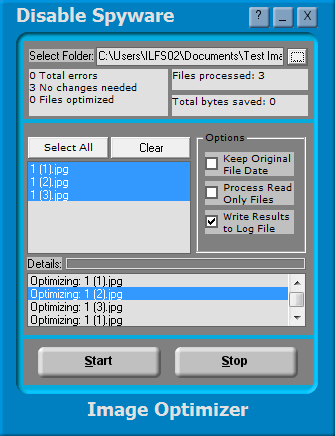 PngOptimizer lets you compress image files by just dragging and dropping. It supports PNG, BMP, TGA, and GIF as input image formats and PNG as output format. It can remove extra and unnecessary data from images. It also lets you backup the original PNG files by renaming them. You can also copy and paste image data from clipboard to convert it to PNG. 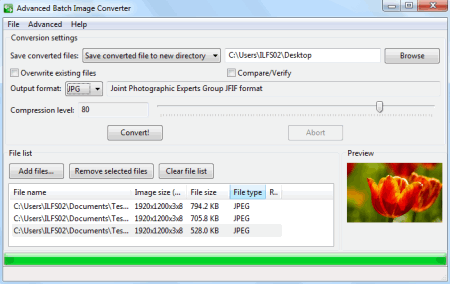 Jpeg Compressor is a small (just 173 kb) and easy to use free program for compressing JPG files. It is a single executable file and you can use it as a portable software also. You can drag and drop files or add them by browsing. It supports various image file formats including JPG, JPEG, BMP, PNG, ICO, TIF etc. You can change the output folder also for converted compressed images. 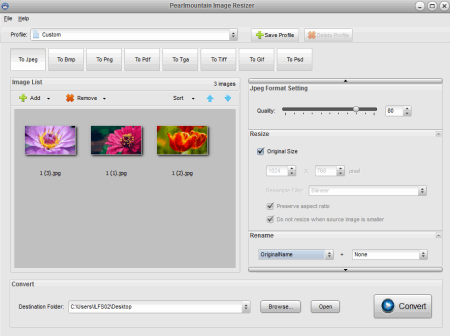 JPEG Resampler is a free software to compress your digital pictures. You can also use it to convert your pictures from one format to another. Supports various image formats including general ones. You can set or adjust the quality setting as per your needs. You can change its interface language any time from the dropdown list on its main interface.